The Big Swedish Shaolin Photographer who Sells Shirts and Stuff. 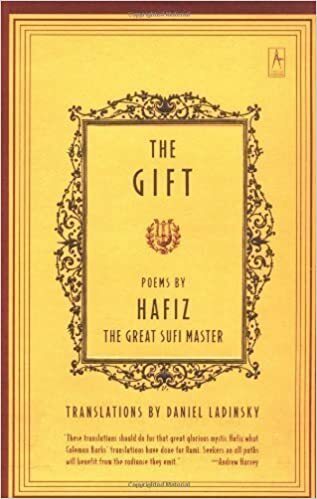 It is said that if you have a question you can randomly turn to the poems of Hafiz and you will find the answer to your question. I don’t know about that However this poet who has been scolded for 6 centuries for being inconsistent has become one of my favorites. 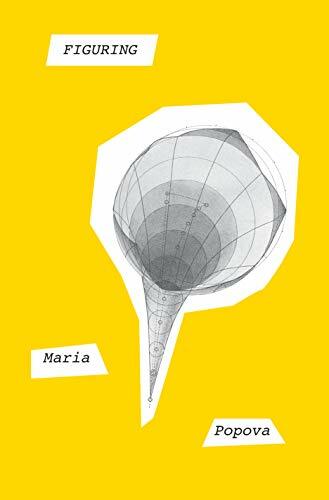 genius behind Brainpickings.com come this book about The complexities of love and the human search for truth. The price of the book is redeemed within the introduction. It is beautifully written . 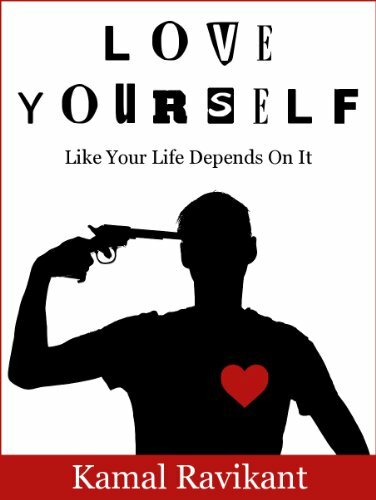 This Little book By Raval Ravikant called “Love yourself like your life depends upon it “. This was a surprise to me. I picked it up about 3 years ago and it has been part of my daily routine ever since. It is always fascinating to me how the simplest of exercises can yield such amazing fruits. I highly suggest it and do what the book says for a month and see for yourself. T.K. Thorne is a Birmingham Writer with a new book out. It’s aboutRookie patrol officer Rose Brighton chases a suspect down an alley when she finds herself in the middle of every cop’s nightmare—staring down at a dead body with two bullet holes from her gun . . . in his back. He’s dead and she’s alive, and now she has to explain it, which is going to be a problem because what happened was so strange, she doesn’t understand it herself. And if she doesn’t figure it out fast there will be more bodies, including her own. Just like with daily meditation, kung fu or tai chi practice for your health and mental well being. Being successful in anything means you have to weather the daily, monthly, and yearly changes that will always change the way that you engage what you are doing. Having set of principals in place is important for long term success. Ray Dalio of Bridgewater Associates lays out a guiding set of principals that not only helps doing the things that you are suppose to be doing, but also how to make fewer stupid choices. I should have read this book 40 years ago! I have been interested for years in Lucid Dreaming though I have only had limited success. I have been rereading this book cause lets face it the Tibetans are the masters of the art. It is a good read as well as over the last years more of it has been sinking in and I do have many more moments I can remember to pay attention in my dreams. Click here to buy. I was introduced to Loren Eiseley by my Grandfather Doctor Frank Duncan, a voracious reader and life long student. if you haven’t had a chance to read any of Loren Eiseley’s works you are in for a treat. To me it is great Sunday reading, plus the words were formed before a time when the environment was a hot button issue. You get the sense he is speaking to everyone. This broad look at life is very refreshing. [Paul Stamets]just leaves me gob smacked. I have always know that nature is an incredible web of interactions. However, this book on mushrooms or the roots Mycellium is outstanding. It is a follow up for me from the “How to Change Your Mind” Book on Hallucinogenic mushrooms by Micheal Pollan.However this is much broader and see if it doesn’t change the way you walk in the woods! For the herbal concoction that has eliminated colds for me here is Paul Stamets [formula](https://fungi.com/). On Amazon the Book And my favorite Herbal Formula on amazon. Not one cold for over a year and a half. Though I am not a doctor this is great! The Wayfinders Why Ancient Wisdom Matters in the Modern World by Wade Davis As one of the few people in our culture to be exposed to an Oral Tradition that stretches back 600 years or so. I found this to be such an interesting read. From a culture that not only disregards the worth of our own history we also have cut ourselves off from many wisdom traditions of the past. Many of which have information about the blind spots of our own cultural biases blind spots that obscure many parts of ourselves. After Reading Dillon’s Book I have been listening to Johnny Depp reading Kieth Richards book Life. Damn good book. One things that struck me, as something we have lost with the hyper availability of music, Is the way that a song or an artist was something rare, hard to find, and it gave the moment of listening, lets say to the blues, this power because they had to work so hard to get the albums. They had Blues Clubs to listen to all of these Chicago blue’s players. When you view something a rarefied and unique and treat it as such authenticity appears. The next thing you know you have Nixon saying that they are the most dangerous Band in America! Blow Hards unknowingly know how to light a flame don’t they! Johnny Depp is the perfect person to read this book as well it feels like a chat in a room with a bunch of couches and plenty of whiskey. Take the time to listen to some of the music as it is mentioned it brings it all to life! This is a quick read, however if you are interested in The culture of an organization that is as on the edge as Cirque du Soleil has been for so many years, This book has some great insights. Just think about it. Not only are they wildly creative, but people are putting their lives on the line every time they perform. How does an organization do this? How do we as people keep bringing the best of ourselves to our jobs so that they are alive and vibrant as when we first started. This is a great read to see how they engage the process. Anyway if you have 5 million things that you are wanting to get done and you can’t get by walking into your home and just wanting to take a nap. This is the book for you! Trust me it even works on me! I have been dehydrating loads of things lately. I make my own spice mixes, I make my own watermelon strips,(yes watermellon it is sooo good!) My own jerky and apple and pear chips. My dehydrator has been running for a few months now and it is crazy to me all of the things that can be made with it. This book will get you going. For all of you doomsday preppers out there, there are some very useful techniques here as well. If you are tired of our shared cultural reality and want to go on an adventure. This beautifully written book weaves it’s way through the eyes of a boy, a spirit child in Africa. It is a classic and I feel the need to re-read parts of it frequently just to remind myself what great craft in writing looks like. The images are terrifying and wonderful all at the same time. Even though this book is out of print, get a copy and read if you have any interest in Chan or Zen Buddhism. It is a book from the Temples of China via Sifu John Fey who tends an old tradition that keeps this kind of human knowledge alive. I think I have gone through this books course 4 times or so over the past 20 years and each and every time it got me out of one rut or another. So if you find yourself in a creative rut or a life rut, and you are needing to shake things up. I can tell you from first hand experience, if you do the work, it helps you find that old forgotten voice! Mary Oliver has long been one of my favorites. I think I have all of her books even have a few poems memorized.Also I haven’t read a book of hers I didn’t like. If you were ruined by someone in your past about poetry, give it another go. There are some human emotions and understanding that can only be transmitted by poetry. I have been wanting to read some Oliver Saks and I am finally getting to it. The primeval, the sublime, are much better words here for they indicate realms remote from the moral or the human, realms which force us to gaze into immense vistas of space and time, where the beginnings and originations of all things lie hidden. Now, as I wandered in the cycad forest on Rota, it seemed as if my senses were actually enlarging, as if a new sense, a time sense, was opening within me, something which might allow me to appreciate millennia or eons as directly as I had experienced seconds. Third wish is the important wish. The 1st one was a mistake. The second cleans up the first mistake and that means you have one wish left. Thought I would read this book as I was looking at the quote to ponder below this week. I remember it from early on from my training as a teacher. Anyhow the book is so far enjoyable. I have read a lot of Michael Pollan’s books and he does a great job exploring a subject so that you feel as if you are doing the exploring. He creates a balance between the Objective and the Subjective experience. Especially in this book where the subject matter lends itself to dive deeply into the subjective experience he grounds the book with the research that has been going on for years that has huge potential for helping people. He also reads his work well which only a few authors can pull off. I would be remiss if I didn’t mention that If you engage a solid Meditation practice though slower you find yourself in many similar states of consciousness that are equally helpful. He mentions this in the book as well. Explorations with Qi is a fascinating book written by American Doctors doing research on Traditional Chinese Medicine and this concept of Qi. It is a name that describes something as common as dirt, as air, as life. We here in the west have not come up with instruments that can measure this all pervasive phenomena. But there are those that train for many years to sensitize themselves and work with this quality of life. This book is a great introduction and has some interesting stories. I first read Hare Brain Tortoise Mind many years ago. Thought it was a good time for a refresher. As a person who daily takes a little time to unplug and let a quieter part of the mind work it is still good read. In the face of the momentum of current times reading about the parts of us that are dismissed by thinking to fast is a good reminder. I love Neil Gaiman and if you haven’t started to listen or read some of his book you are missing out on one of the great story tellers of our generation. American Gods is a great starting place a story that winds through a living history of Gods beliefs and a war of minds. transport eggs so someone can make a cake for their daughters wedding a not so fragile Odyssey. Ron Perlman reads like an old friend telling a story. Hold on for a ride. Click the book if you want a great story. or here. e go to the desert, or why does anyone lives in that hot forbidding country. This this the seminal book to read. I am rereading it now and Abbey’s voice feels like one of the cantankerous old friends I had when I was a river guide way back in the day. Do yourself a favor and enter his world not only is he a brilliant writer but a voice that speaks for the wilderness that can’t speak for itself. If you have time to walk,Sing songs and dance. If you haven’t read Bob Dylans Chron icles Vol 1. You are missing out. What a great insight into the man and the music. I have been putting together a playlist of all of the people he mentions in the book, that I will share later, already it is amazing. I have heard that there are portions where Bob has been creative with the facts however truthfully I don’t care. It is his reporesentation and that is also part of the story.